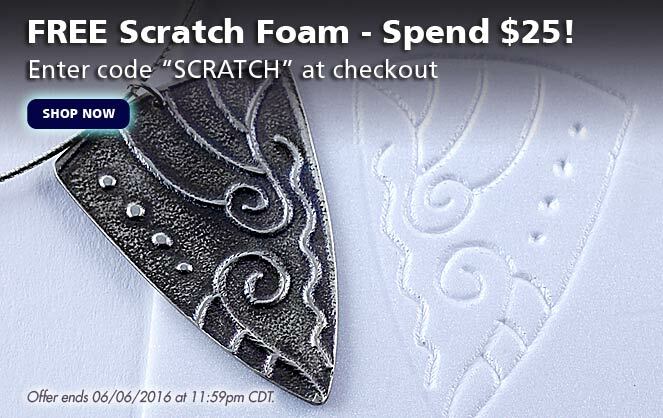 Spend $25.00 or more and get free scratch foam! Perfect for making your own unique texture. Enter Code: “SCRATCH” in the coupon code box during checkout. Watch our video on how to use this versatile product. Offer ends June 6, 2016 at Midnight CDT. Previous post: Product Feature Video: CoolSlip Anti-Stick Solution Next post: What’s in the Woods? Throwback Thursday! Check out the “PMC 960” DIY video. Free “Deco” Bail Templates with your $50.00 Order!